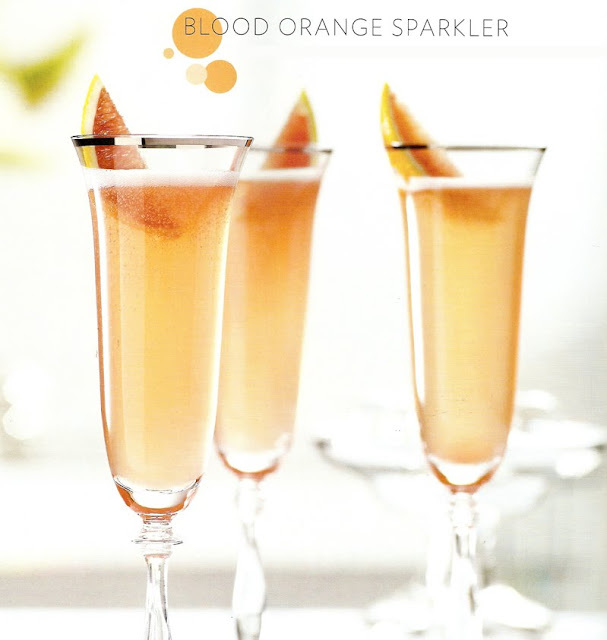 Have you ever tried a blood orange? I have only ever tried one once and I loved the look of the deep, dark red flesh. Its blood-like colour makes it a truly intriguing fruit. And its taste - an intense hit of orange with delicate hints of berry - is unforgettable. There are three common varieties of blood oranges available: the Moro (the most common), the Tarocco and the rarest, Sanguinello (which some say is the tastiest!) They are not generally available year-round and have become known as a seasonal treat, similar to clementine oranges or pomegranates. Between December and April, blood oranges are usually readily available in most grocery stores. 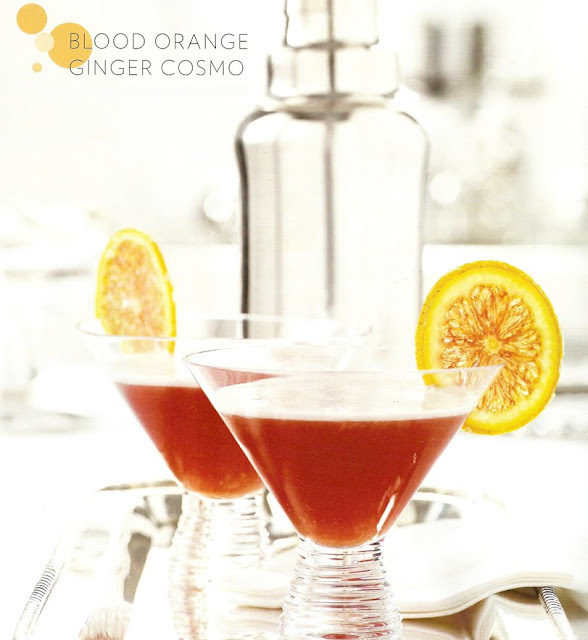 After reading an article in Canada's "Food & Drink" magazine (a free catalog distributed by the Liquor Control Board of Ontario) about using blood oranges in festive cocktails, I decided to share them on the blog. I intend on trying the sparkler and the margarita this season! I hope you'll try a few too! This cocktail requires the freshly grated ginger to be put directly into the glass and the cocktail poured overtop. For a more subtle ginger flavour, put grated ginger into the shaker. Place freshly grated ginger into Martini glass. In a cocktail shaker filled with ice, combine vodka, Cointreau and blood orange juice. Shake and strain into glass. Garnish with candied blood orange wheel, if desired. Stir the 3/4 cup of sugar and water in a small, heavy saucepan over medium-low heat until tender, about 5 minutes. Using tongs, transfer the peels to a sheet of parchment paper to dry slightly, about 10 minutes. Place extra sugar in bowl and toss slices individually until coated. Dray on a parchment-lined tray in a single layer. 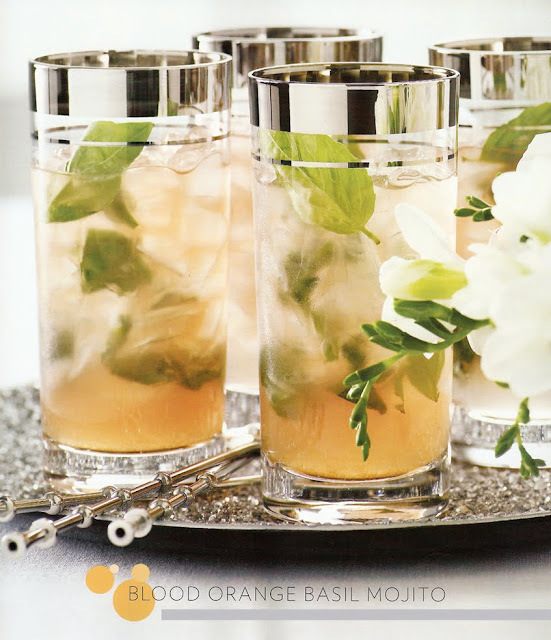 A traditional mojito is made with mint. Basil is in the mint family and is the perfect complement to the bolder flavour of blood oranges. Add basil, sugar and 12 oz blood orange juice into glass. Muddle the mixture. 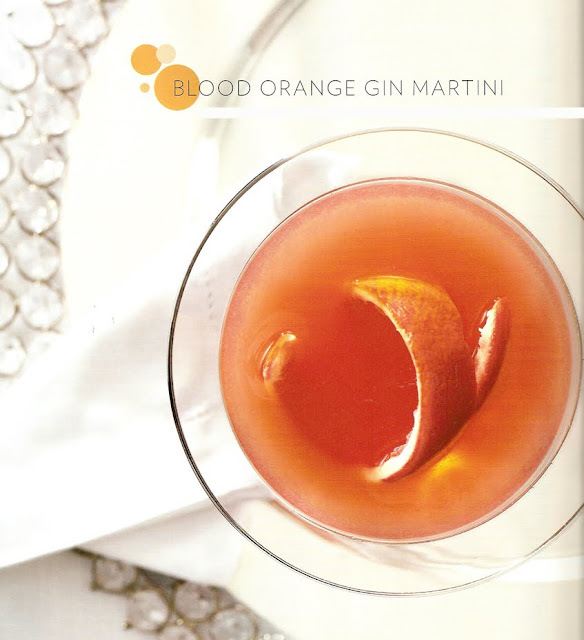 Add remaining blood orange juice, rum and top with soda water and ice. Garnish with a basil leaf. 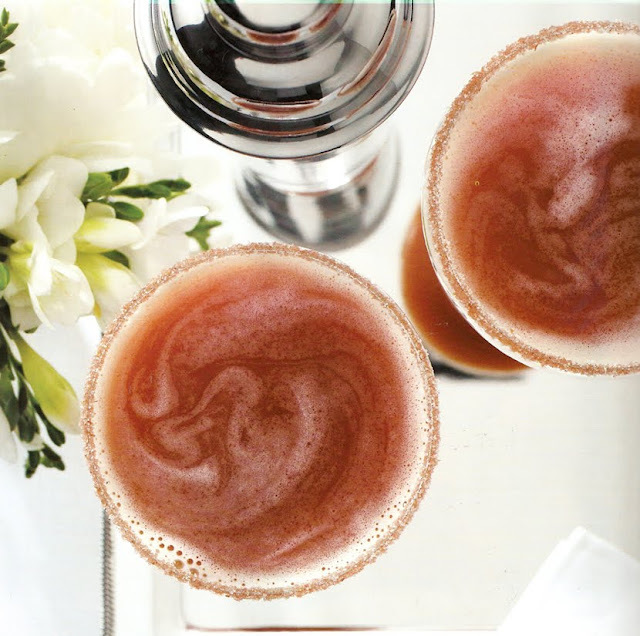 The addition of Campari not only intensifies the colour but adds a punch of flavour to this cocktail. In a cocktail shaker filled with ice, add ingredients. Shake well and strain into a martini glass. Garnish with blood orange zest. This is a version of a traditional Mimosa, and it could not be simpler.The blood orange is a hybrid of ancient origin between a pomelo and a tangerine and is grown in Sicily. This is a festive version of a summertime favourite. Pour all ingredients into a cocktail shaker filled with ice. Shake and pour into a margarita glass or rocks glass. I was just passing by here searching some other information and i read your post.The recipes you have posted have helped me as i had a party on the other day at my home.I have tried out some cocktails and its great.Thanks for sharing. Amazing really amazing. It seems looking nice and tasty too.I will cook it evening.Hope i will cook better. Well according to my point of view, I think that a ripe blood orange detonate with juice, like red wine when a cork's pushed into the bottle. It can leave the same telltale stains, so bartenders will need to juice the oranges before the start of cocktail hour. They all look fabulous, and I'm addicted to blood oranges right now. Try making a simple syrup with strips of the orange zest incorporated - it intensifies the orange flavour and can be mixed with fresh lime juice, vodka and fresh blood orange juice for another great cocktail. Thanks for posting these! thanks for these. I found that the cosmo benefited from some lime added too. probably I don't like stuff on the sweet side. then it was totally awesome!